photo source: Phornthip Phatana Ltd. This is the most sacred statue in Thailand. It was discovered in the north in 1434, taken to Laos in 1551, and recaptured and returned to Thailand in 1778. The statue is 30" tall, and made of green jasper. 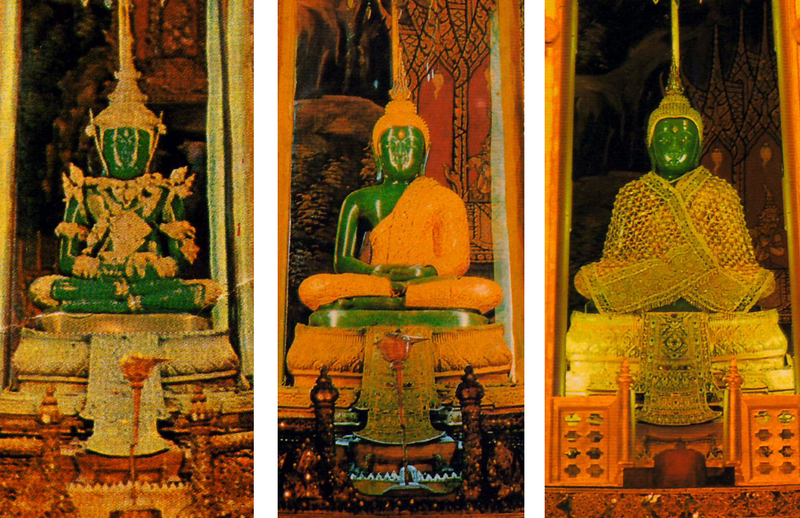 The king himself changes its garments three times a year, at the beginning of each of the three seasons: summer (left), rainy season (center), and winter (right).